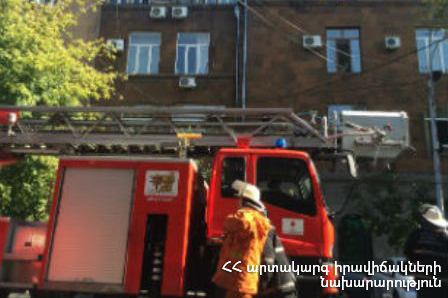 On February 11, at 21:19 an emergency call was received to “911” service that smoke was coming out of the elevator shaft of building 9 in Paruyr Sevak Street, Yerevan. The fire was localized at 21:51 and extinguished at 22:00. The wooden lining (10 m2) of the cabin of the truck elevator completely burnt: there were no casualties.